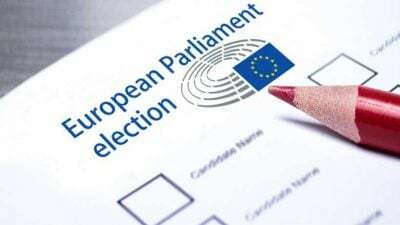 The next Elections for the European Parliament scheduled on 23-26 May 2019 have already started with fervor! A total of 751 seats (MEPs) are currently up for grabs by those fortunate enough to secure a seat in one of the most lucrative and privileged positions on offer. EU salaries and the perks of MEPs are nothing to sneeze at either: €7957 monthly gross salary; €4342 per month office costs; all domestic and international travel expenses paid plus €306 per day travel allowance including other privileges. With such incentives on the table, it makes the job of an MEP seem like manna from heaven and nobody wants to miss out on such an opportunity! The only qualification necessary is the “gift of the gab” or to be a member of a political party. It is no wonder aspiring politicians and party faithful including journalists, media personalities and TV presenters add their names to the list of hopeful candidates in the hope they secure such a prestigious political career. In the meantime, a fierce battle is in progress between all the political parties offering promises to lure the loyalty of voters but also appeal to prospective candidates that offer a lesser risk of winning a seat at the next European Parliament; a parliament that in fact has no legitimacy! In smaller states these overrated parliamentary elections become the main topic of affairs and all the local political parties attempt to make deals and counter deals on selecting a mutually agreed candidate in the chance that they can win a seat for the party. Meanwhile, the mass media and the government add to the frenzy as if EU elections are god-sent and so important to people’s lives that they cannot be ignored. This year however all the political parties share an underlying problem; they fear the rise of nationalist movements! Those sweeping candidates opposed to EU policies show strong signs of gaining critical votes right across Europe. Consequently, they pose a serious challenge and can tip the balance of power inside the chamber of the European Parliament and in so doing, change the entire EU parliamentary spectrum forever. Swarmed by hundreds of politicians the “Parliament” was originally created with one specific purpose in mind; to use its democratic voting status as a means to rubberstamp the Council’s rulings and in so doing legitimize the EU institution as a democratic entity! It is also a known fact that MEPs have no role to play in the EU decision-making process or actions agreed behind closed doors between the unelected Commission and Council. As the main body authorized to amend and adopt laws and coordinate policies for the entire European Union, only the “Mighty Commission” can make those decisions. Yet, elected parliamentarians are obliged to stamp their approval on policies presented to them by unelected bureaucrats! It has come to pass that when an elected parliament has no legitimacy or the power to make decisions, adopt laws or introduce policies in the interest of the people, cannot be called a parliament but a lame institution and that’s where parliamentary democracy ends! The rest is a shambolic act based on misconception by a non-elected and undemocratic EU supranational organization in pursuit of supremacy. There is a public illusion that MEPs are elected to represent the interests of the voters in their own country but that’s far, far from the truth! In fact it’s a total fallacy and a lie! Once elected, MEPs change hats and they are committed to make decisions in the interest of the entire European Union and not of their own country that has been reduced to a “province” of the EU. BREXIT this year will certainly shake up the EU and probably become the catalyst to trigger a domino effect for other states to exit the European Union. It promises to be the most significant revolution ever and this nightmarish scenario sends shivers down the spine of the EU and Europhiles. Meanwhile, member-states are anxiously waiting to see the final outcome of this political nightmare, which has come to upset the cozy EU relationship amongst governments and banking institutions. Without a doubt, there are clear signs of irreconcilable differences between the Commission and some member states are resisting the unsavory metamorphosis the EU is going through – from its original concept of a Common Market to a political European Union in pursuit of its own army and control over the lives of 512.6 million citizens! Under the current political rift it is reasonable to assume that Article 50 for EU Exit would be repeated again some day soon! The obvious rancor between Emmanuel Macron and Matteo Salvini offers a clear picture of policy discord among EU leaders attempting to protect their own national interests; breakups seem inevitable! The most serious problem facing member-states today has been the ever-increasing flow of thousands of illegal migrants and “asylum” seekers the Commission refuses to deal with. It has chosen to “wash its hands” by paying billions of compensation to others and deal with the problem. Obsessed by its “Open Borders” flagship, the EU refuses to accept responsibility for actually encouraging the torrent of human flow that now threatens social stability and also the demographic character of Europe! Without question a new generation of citizens has discovered they have a voice and can no longer remain silent to injustices. They feel deceived by governments and they openly speak out by turning their back on the established order and political parties that have betrayed their aspirations. The Yellow Jackets uprising in France against a failed system it’s a fine example of peoples’ resistance to unfair treatment in a wealthy country. The ugly scenes of angry mass demonstrations in the streets of France, Greece and other European countries speak a thousand words; they speak of a letdown by governments and EU policymakers that failed them miserably and take to the streets in demand of radical changes and no more shallow promises! Only the people of EU-Cyprus seem reluctant to protest for changes to the status quo and yet the island absorbs the highest ratio of refugees in comparison to its small population. Citizens have come to recognize that national governments and the EU institution have both reneged on their promise to provide security and social stability in a land of plenty, democracy and equality! In contrast, they have managed to rekindle people’s reawakening of nationalism­­­­­­­–the stuff that revolutions are made of! If at the upcoming elections, nationalist parties accumulate enough decisive votes in Parliament, things will never be the same again for the European Union. For better or worse, the EU would be forced to recognize its own failures and accept the truth that the “One Happy EU Family” does not exist – it never did! Andreas C Chrysafis is a UK published author of six books in circulation worldwide including over 400 press articles. He is an advocate of democracy, Transparency, Equality and Human Rights.